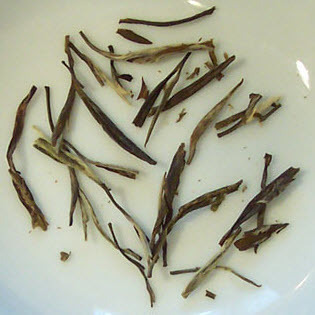 Silver Needle (Baihao Yinzhen) is one of the finest white teas available. As such, teas are popping up everywhere on the market bearing the name “Silver Needle.” The question is: how many versions of this tea are out there? Of course, we then have to ask: are these versions really “Silver Needle”? I’m not sure if this article will give definitive answers or instead raise more questions. These all have a common thread. Silver Needle is from a certain location. It is harvested at a certain time of year. The leaves have certain qualities. This is the only version of Silver Needle here not produced in the Fujian Province of China. It is instead from the Bihar state in India. The question here: is this really Silver Needle? It is certainly a fine white tea regardless. This looks like another of those issues in the tea world that will need to be addressed by growers. Just as some teas have to be produced from leaves grown in a certain area and also processed there in order to bear a certain name, the same may be true one day of “Silver Needle.” Until then, let the buyer do his homework but also be open to whatever that tea turns out to be. You may just be in for a pleasant surprise! 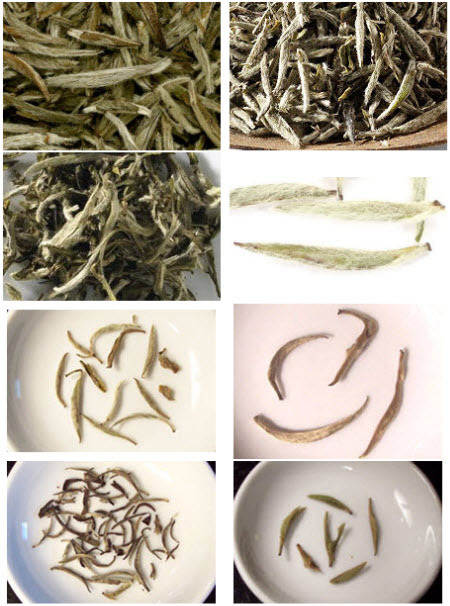 It is always better to call different teas by different name to clearly differentiate – like Long Jing and then Xi Hu Long Jing. In Darjeeling single estates, period, invoice numbers and grades differentiate. Pu’er is area specific – but Silver Needle is a generic name and we take caution in making it area or estate specific to be truthful. Silver Needle is not generic. It is very specific. It has to be new buds with the hairs still on them picked in a certain date range and also, it seems, from a certain growing area. No one is saying anyone isn’t being truthful. We are saying the name is getting applied to teas that vary so much that the consumer doesn’t know what to expect. Possibly some standard needs to be set? This happens with other teas, too. Technically, any tea produced from the BUD of a camellia sinensis shoot can be called a silver needle. The bud requires minimal processing, it is withered, sun-dried and then given a final fire, We wither the bud for 55 hours before it is given a final fire. The best silver needles are known to be produced in the Fujian province of China but other origins, like Darjeeling, are also making equally good teas of this variety. The Silver Needle producers in Fujian Province would disagree with you. I, as a consumer, was just making the point that we need to beware what we’re buying. I have seen such disparity between Silver Needle versions that the name is meaningless now.